Complete with 5 blades & dust extraction connector. 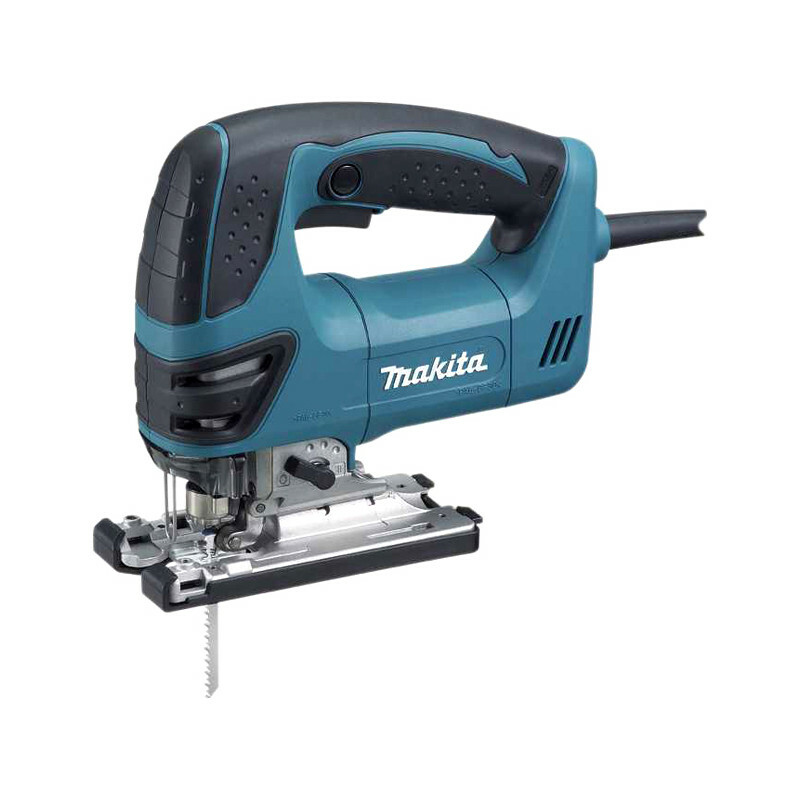 Makita 4350FCT 720W Jigsaw 110V is rated 4.9 out of 5 by 7. Rated 5 out of 5 by MartC from Precision piece of kit Chose Makita after being impressed with their other tools. It feels well made with a soft grip handle, and ergonomically shaped. So far used on kitchen units which it tackled with ease, as it should. Leaves a good, clean cut and feels very easy to maintain accuracy. Soft start is perfect for getting bang on the mark. Low vibration was a key feature for me and this lives up to the description. Nothing to fault so far. Rated 5 out of 5 by Thatguyfrommoldova from Great tool I bought it couple of weeks ago, so happy and satisfied with purchase of this Makita Jigsaw. Rated 5 out of 5 by philval from Quality Jigsaw Needed a new jigsaw and decide to pay the extra for a Makita.It's a quality piece of kit and very pleased with it.